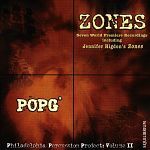 Members of the Philadelphia Orchestra percussion section (POPG*) performing seven world premiere recordings. Works by Jennifer Higdon, Rolando Morales-Matos, Charlotte Blake Alston, Don Liuzzi, and Tom Gauger. With Charlotte Blake Alston reading a commissioned narrative poem by Catalina Ríos. Executive Producer-Don Liuzzi, and Producer-Rodney Whittenberg. The Philadelphia Percussion Project consists of members of The Philadelphia Orchestra’s percussion section, under the direction of Don Liuzzi. 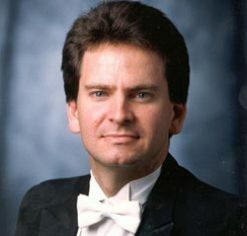 Before joining The Philadelphia Orchestra in 1989, Mr. Liuzzi was a member of the Pittsburgh Symphony percussion section from 1982 to 1989. 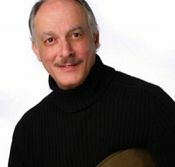 While in Pittsburgh he taught percussion and conducted the percussion ensemble at Duquesne University, was assistant conductor of the Three Rivers Young Peoples Orchestra, and appeared on PBS’ nationally syndicated Mr. Rogers’ Neighborhood, performing marimba and percussion solos. 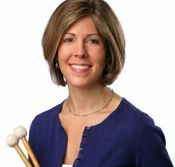 Angela Zator Nelson, associate principal timpani and section percussion, joined The Philadelphia Orchestra in 1999 as the first female percussionist ever hired by the Orchestra. A native of the Chicago area, Ms. Nelson graduated from Northwestern University’s School of Music where she studied with James Ross and Patricia Dash of the Chicago Symphony and with marimba virtuoso Michael Burritt. While in Chicago, Ms. Nelson was principal percussion of the Civic Orchestra for three years. In 2001, she obtained a masters degree in music performance from Temple University, where her principal instructor was Alan Abel of The Philadelphia Orchestra. Jazz musicians Larry Coryell, Howard Levy, John Clark, Art Baron, Peter Sprague, Tripp Sprague, Ken Filiano, Bob Magnusson, Bob Boss, Michael Formanek, Dave Ballou, Thomas Chapin, Robert Musso, Howard Johnson, Jeanie Bryson, Kenny Washington, Jon Regen, Janiece Jaffe, C. Winton Reynolds, James Romeo, Jaeryoung Lee, and Daniel Palomo Vinuesa. World musicians Paul Winter Consort, Glen Velez, Eugene Friesen, Paul Halley, Steve Gorn, Michael DeLalla, Oxymora, and Autumn's Child. Middle Eastern musicians Simon Shaheen, Haig Manoukian, Brandon Terzic, Naghmeh Farahmand, Houman Pourmehdi, Mohsen Taherzadeh, Pejman Hadadi, Maryam Hatef, Omri Hason, and Eliyahu Sills. 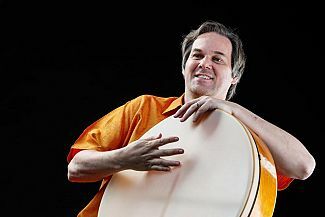 As a solo artist, N. Scott Robinson brings a breadth of diverse experience in world percussion traditions to the stage and classroom. 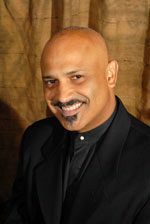 He has given clinics, panel discussions, and concerts on diverse styles of hand drumming for national and international organizations. Plays regularly as a substitute and extra percussionist with The Philadelphia Orchestra and The Baltimore Symphony, and has performed throughout the United States, Europe, Asia and South America with these orchestras. Ms. Haringa also performs with The Chautauqua Symphony Orchestra. She is a former member of The Phil-a-Rhythm Percussion Quartet and the Atmos Percussion Quartet. Ms. Haringa was on the faculty of The Settlement Music School in Philadelphia. She received her Master of Music Degree from Temple University. Pablo Batista, a graduate of the Temple University class of 1985, has been a percussionist for over 31 years. In 2000, Pablo was the recipient of the distinguished Pew Fellowship Award in Folk Art. He also toured and recorded with the late Grover Washington, Jr., from 1985 until Grover’s passing in 1999. 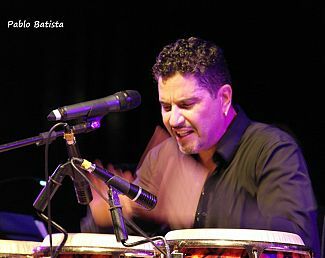 Presently, Pablo is the percussionist for ” fill in later “. He has toured with five time Grammy recipient, Alicia Keys and performed with her live at the 2002 Grammy Awards. Charlotte was one of four Americans selected to perform and present at the first International Storytelling Field Conference in Ghana and was a featured artist at the Second Int’l Festival in Cape Town, South Africa. In the summer of 2005, she was the sole American selected to perform on a main stage at the STIMMEN: Voices Festival in Basel, Switzerland and The Cape Clear Island Festival in Ireland. 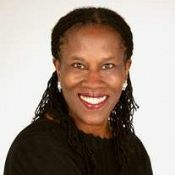 In 1996, she was the Director of “In the Tradition…” the 14th National Festival of Black Storytelling. She is a recipient of the Zora Neale Hurston Award, the highest award bestowed by the National Association of Black Storytellers.